For only $25, you can hop-on our climate controlled bus. Hop-off at any one of our 13 stops and stay as long as you want. Our buses come around about once an hour to pick up riders to head to the next spot. If there’s something you want to skip, just stay on board until you’re ready to stop. It's a great way to see KC's sights while experiencing it's best breweries, wineries and distilleries. The Barley Bus offers the unique experience to tour at your own pace, hop-on, and hop-off all day long. 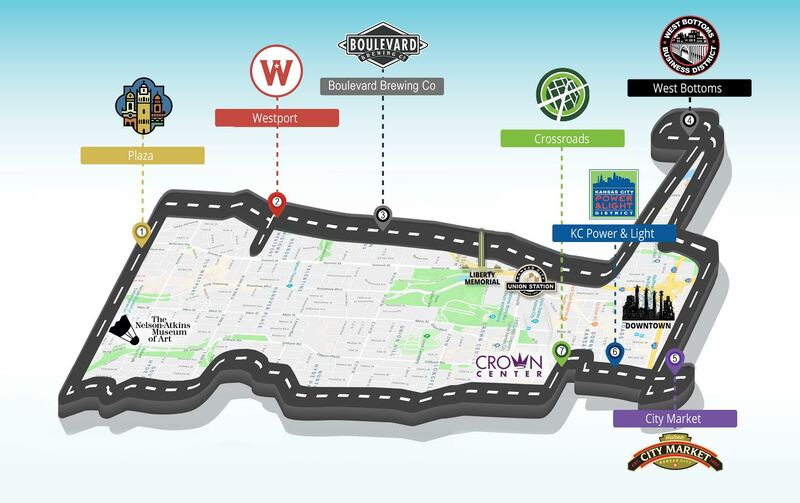 It's an unbeatable way to see KC's top sites and visit it's best breweries, wineries and distilleries. Our buses loop around about once an hour to pick up riders to to the next spot. If there’s something you want to skip, just stay on board until you’re ready to stop. City Market - Strange Days Brewing Co.
Crossroads - Double Shift Brewing Co.
West Bottoms -Stockyards Brewing Co.
Our experienced and locally licensed Tour Guides on every bus will take you through the history and legends. Purchase your tickets to KC’s most affordable, unique and flexible way to explore KC.